My favorite new show on HGTV is “Fixer Upper.” Chip and Joanna Gaines take on old houses that a lot of people would consider tear-downs and work some serious magic on them. Their own fixer upper farmhouse was built in 1895 on the outskirts of Waco, Texas. Let’s take a look inside! To boost the square footage from 1,700 to 3,600 square feet, the Gaines turned the unfinished attic into a guest bedroom, bathroom, multipurpose room, and crafts room, and added a first-floor master suite. Completing the transformation into a modern farmhouse: a new metal roof and crisp white paint (Alabaster by Sherwin-Williams). The production company or the Gaineses find people willing to spend at least $30,000 to renovate a home they plan to buy. When the transformation is complete, the network pays the Gaineses the 10 to 15 percent profit they would expect to receive on such a task, plus overhead. The dollars we receive are comparable to what we would see on a project for anyone,” Chip Gaines said. “But the exposure is more tangible. The kitchen island is a late-1800s church altar topped with stainless steel. 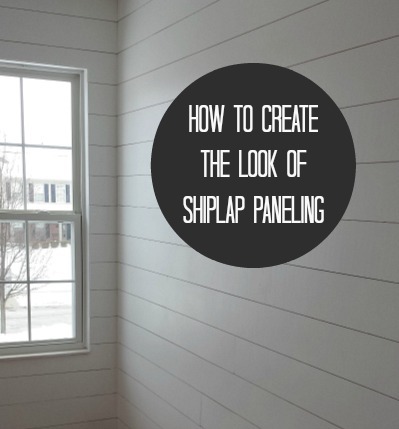 Thanks to them, “Shiplap” is probably the word of the year! Chip and Joanna have about a million irons in the fire. They own Magnolia Homes, which provides residential and commercial remodeling, design and new home construction. They offer real estate services in the Central Texas area through Magnolia Realty. They host HGTV’s most popular show. And oh, yeah, they have four young children and a farm to take care of, too. Whew. 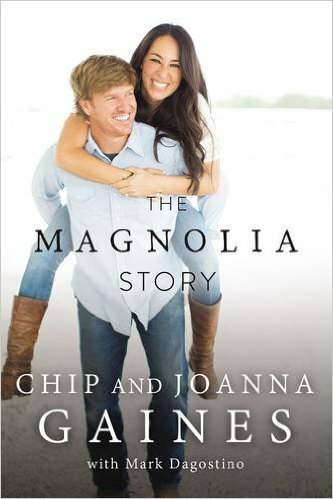 *UPDATE: They announced they have a book coming out in 2016 called The Magnolia Story! To learn more about the couple, like how they met and started flipping houses, you’ll find the whole story here: “Fixer Upper Behind the Scenes.” Visit HGTV to see more farmhouse photos by Zach DeSart, as well as their website Magnolia Homes. “Flip or Flop:” Are Tarek & Christina’s Real Estate Seminars a Scam? By far, this is the best new show on HGTV! I cant wait for the new season to start in early January 2015. It amazing watching them transform houses and my favorite part of each show is watching Joanna put her personal touch in styling each house. My husband and I wondered who or how they were paid so thanks for answering that question. Yes, I love this show also! In fact, it’s about the only show I watch anymore. I think I got burned out on repeats of Rehab Addict, so i haven’t been into that as much this season. Gotta love a great fixer-upper story! I agree. You can see the love radiating from each other. They love their jobs and family. I love love LOVE the show, Julia! Thanks for profiling the Gaines family. I love to see the upcycled pieces used in the homes. Johanna and Chip give new meaning to “reuse and repurpose”. I have a relative who lives in Waco and she shops regularly at Magnolia. She has met Johanna a few times and says she’s a lovely and gracious as who you see on TV. I can’t wait for season 2 which is scheduled to air in Canada in early 2015. I like the green garlands. I love saving old houses. But I can’t say I like the way they have finished or decorated the house very much. It seems kind of all over the place. What’s the deal with metal “farmhouse” roofs? They are showing up in my little forest/mountain suburban town on beautiful vintage houses. There is a big beautiful brown shingle next to my daughter’s school that got one (after they ruined the original roofline). It makes me want to cry when I see it. I don’t dislike the look. But they aren’t part of the original vocabulary of this kind of house and they are going to look very 2014 in 10 years. My parents have lived in the same house since 1952. It was an old wood frame house. They raised the roof to make a second floor ( with 4 daughters they needed it), bricked it and enclosed a porch to make a larger kitchen. In all those years, my dad always wanted a metal roof. He finally got one in 2014 after I got mine. The cost has finally come into line with traditional shingle roofs and the warrenty can’t be beat. I agree that they don’t look well with all style houses, but I love mine. I optimisticly picked a color that will go with the new color my house will be someday, but right now it looks a little strange. I don’t consider it to be a dated look, but maybe it’s because I live in the rural South. Definitely the best show on right now! If we could have more shows like Fixer Upper, Sarah’s House (or anything Sarah Richardson) and Candice Olson I would be VERY HAPPY! Too bad HGTV doesn’t see it that way. Looking forward to January’s new episodes! YES – Sarah Richardson ROCKS too! Love her end results. Agreed. It was a bit of a disappointment. Seemed too scripted. And I have to add, I miss Tommy! Yes, Sarah Sees Potential was terrible. I’m watching Sarah Richardson to see her design a room, not to see her play real estate agent. I could watch the 25 other shows on HGTV for that! Love, love , love this (newer) show. They are so talented, so cute together, and really walk the walk of simpler, more family oriented living. Appreciate how they include their kids in their family business. You can just tell the kids really want to help! Wish them much success. The show is very trendy and appeals to a younger demographic. There’s obviously a market for the old sign / battered furniture and finishes look in Texas and I’m glad their business is doing well, but there is a definite shelf life for that “found object” style. “The show is very trendy and appeals to a younger demographic. There’s obviously a market for the old sign / battered furniture and finishes look in Texas and I’m glad their business is doing well, but there is a definite shelf life for that “found object” style.” Tell me about it- that and the cutesy sayings painted (pasted?) on the walls. I can’t stand it- looks rather a bit too “homey” and informal to me. I’ve been furnishing my houses with junk for decades! To be fair, I have to admit to jumping on the bandwagon of more than a few trends with short shelf lives! Yes, I’m talking about you, early American EAGLES on EVERY-thing! As far as a ‘younger’ demographic is concerned, I’m 62 + am a huge fan of Magnolia style! I love Fixer Upper! It’s such a nice fresh show on HGTV that isn’t totally dramatized and fake like some of the other shows. I love the way they’ve decorated their railing. That’s such a fun idea. I SOOOO LOVE this couple! Chip’s humor cannot be beat and the fact he knows what he is doing!! And could not say enough about Joanna!! LOVE LOVE her style. I would love her to decorate my home. Have yet to see anything she hasn”t staged. One quetion that I wonder… since she places furniture and accesories in the homes..does the couple(s) get to keep them? Or when the show wraps, their own furniture comes in. Hope you know the answer!! Thanks & MERRY CHRISTMAS!! He cracks me up, too. They’re perfect foils for each other, really. I don’t know about the furniture and accessories. Most come from her shop so I’m guessing the homeowners pay for whatever they want to keep, but I’m not sure. Has anyone else heard the deets on that? Fill us in! I love Fixer Upper. Now if HGTV could give up more shows like that I would watch it more. And they need to get rid of House Hunters Pop Up. That is the most annoying show ever! I agree that Fixer Upper is wonderful to watch. I always like to see her style and decorating touches. I watch it weekly! Sarah Richardson also has a wonderful classic style but I can’t find her show. When is her show on or is it just in Canada. I do like this show, but can never remember when it’s on, so haven’t caught many – and the ones I have seen, I’ve seen twice in reruns. I’ll have to make a point of checking the schedule – just don’t have HGTV, or the TV for that matter, on much. What I do like, besides their genuineness and family togetherness, is that it’s very much about achieving a good look and livability within the homeowners usually modest budget. Hard to believe how little houses go for down there! (But then, I wouldn’t want to live in Texas, no offense to those who do.) I also can’t figure out how she juggles it all! What do you think of the 2015 HGTV dream house, Julia? Will you tune in to watch? I just saw another blogger’s post about it and went to their web tour. Always interesting to see what they do. Very traditional house, this time, so of course I tend to like that more. I enjoy this one, too, I think mostly because of the unusually good working relationship the couple seems to have. I’m sure they have their ups and downs off camera, but they certainly seem to work together well. The thing I’ve wondered about is how they come up with this many people looking to do such renovations in that area, though. Waco is not a huge city. I guess since I live in the Dallas area it’s easy to think of Waco as kind of out in the sticks. I’m sure it’s grown a lot since I’ve been through there (as a kid). I read that they wanted to feature houses outside Waco in Season 2. I guess we’ll see what they found! Hi Julia, the problem is we don’t get this show over here…by the looks of their home and the positive comments big + your husband watches, it sure would be nice if we did. By the way your Christmas decorations are absolutely beautiful and thank you for sharing. Now if I could just stop walking around moving things and just enjoy. On that note I would like to take this opportunity to wish you and your loved ones A very Merry Christmas and A Happy Healthy and Prosperous New Year. Till next year Regards Esther from Sydney. PS no hot chocolate for us, iced tea and lemonade are in. You can download the entire season from Amazon! I’m totally hooked! I enjoy seeing what the Gaines do to the houses. A lot turn out beautifully. What I object to is that shabby chic look Joanna clings to (as witnessed by the island in their kitchen. That peeling paint look feels very dated to me, self-conscious and frankly, not pretty. Maybe I’m the only one who feels that way, but I cringe when she insists on foisting shabby chic pieces or doors or furniture on her clients. I’m with you on the outdated shabby chic look. I watched the show in the beginning and I will say they did some lovely renovations on some homes (the center atrium house, for one) but I’m tired of seeing the same decorating style for every house. When the commercial comes on the tv for their show and she says, my style is very classic, my husband yells, “No it’s not! Your style is trendy!” and I just about fall on the floor laughing. He didn’t even know what those words meant when we met! I’m so glad I’m not the only one who feels this way…I watched tonight and she actually said “I don’t want the same design for every client…” but it was EXACTLY the same design – oceans of beige and cream (no color – anywhere)… a huge clock in every room, old maps, giant candlesticks, signs on every wall, fake-distressed furniture made of “reclaimed” wood… Soooo predictable! It also seems like they are only doing more track homes this season, at least last season they worked in some really unique, old houses with – you got it – SHIPLAP! LOL. PS, I do think they’re a cute couple but the design is soooo trendy. Outdated within 5 years I predict. I agree. I think shabby chic, especially peeling paint, looks dirty and unsafe. I wouldn’t want garbage-reclaimed stuff in my home. Ah, Demeter you haven’t lived yet. Garbage as you call it can be some of the best things in your house. Of course some rich people just can’t be caught bringing junk home, so they go to the upscale repurposed stores and spend a fortune, is that you? Hi Julia! I love this show- thank you for featuring it! I hope HGTV gets the message that not every show has to be House Hunters- lol! They are living my dream! Now I wish I hadn’t gone a decade without cable, ha ha! We are on house #15 in 16 years so we’ll call it fair, but we haven’t yet ventured into other people’s homes, just moving all the dang time. But, as you know I’ve had my 15 minutes on TV :). I was born in Waco and still work in Waco daily and live within 18 miles of Waco – just a couple of things: You would be surprised how small their retail shop is – very tiny. (They have bought a new place with the silos and is scheduled to open next year.) The most popular junk stores in Waco are Junque In The Trunk, LaSalle Shops, Junque Queen’s, Jute, and other ones on Austin Avenue. Most of the pieces of furniture and small items in their shows come from these shops. Waco city limits has a population of approx. 260,000 — but the surrounding areas make up a good portion too – – it is not in the sticks – it sits on IH 35 in the Heart of Texas ! And to those who say that they don’t want to live in Texas — we Texans understand and are ok with that — because we wouldn’t live anywhere BUT Texas. I do like their show for the most part and think Chip is funny and brings a lot to that show !! Wanted to add – that yesterday I saw a “Fixer Upper” house in progress – I pass it a lot and I can tell you that the outside has changed extremely ! Their black Magnolia trucks were in front of house and funny because around Waco yesterday – I saw 3 Magnolia trucks around town – they must be really busy. To each their own about shabby – I can tell you it is still very popular and alive in Waco, Texas. One of the most popular shops in town – Junque In The Trunk does beautiful shabby pieces and her store is packed Friday thru Saturday with people from all over Texas. Not ashamed to say – I have many shabby, distressed pieces in my house and even took a class on painting with Annie Sloan paints from Jute in Spice Village. They are an adorable family and so is their house!! Wishing you and yours a Happy Holiday and all the best in the New Year! Both my husband and I enjoy this show. While we are not fans of shabby chic or whatever you call the peeling paint furniture, it seems to really fit Joanna and Chip. We enjoy their dialogue with one another and the family scenes as much as the house make-overs. Did I miss your holiday decorations in all the Christmas madness? If so, can you direct me. Thank you and Happy New Year! So glad you have featured this show. In my opinion, these 2 are the most real couple on television. I love their show and I enjoy the natural vibe between them. As for the shabby chic look, I have a husband who will have none of that, so I enjoy seeing it in other people’s homes. I disagree, that this look is too trendy, and will be gone in 10 years. Rachel Ashwell (Shabby Chic brand owner) has been around since the late 70’s, and people are still loving her stuff. Love their show…they are the cutest family! Love love love Fixer Upper!!! The show is refreshing – Chip and Joanna are great. I am so glad the show has eliminated the fake fights and drama with the homeowners (Love it or List it). I am so tired of the phony drama/fights with homeowners on where “ooops – we didn’t discover X and now we have to fix something that will blow the budget and we can’t do Y and Z rooms because we don’t have enough money in the budget for the entire project.” I hope HGTV continues with this new trend of less drama and more design. Chip & Joanna, We have a 1900’s old schoolhouse. It is bad shape but we wondered about redoing it. We currently live in a house that we could sell and have about 30K to use towards the fix-up. We r in Western, Ky. and wondered if you ever go outside of Texas?Looking forward to hearing from you. Melodie — this isn’t Chip and Joanna’s site, so I doubt they’ll see your message. Follow the link at the end of my post to go to their blog. Best of luck! What happens to the furniture and other wonderful things she places in the home? Okay, after reading all the positive comments I am going to try to like these people. I actually got on here to see if other people agreed with me that they are so hard to watch, he seems like a tv evangelist and she like she wandered in and has no connection to him. It made it hard for me to listen to what they were doing on the show. Apparently I am way in the minority on this. Wow, J Stanley, I have to laugh at your honesty, how refreshing! I love the show and Joanna and Chip are special, a wonderful change in the HGTV world. But that’s my opinion. Thank goodness we can be and think differently. Have a beautiful spring. I’m obsessed with the Gaines’. The show is wonderful and I love the cottage/farmhouse style. I too would like to know about the furniture and accessories… Do the owners get to keep it? I’d totally pay to keep whatever she “staged” my home with. What a breath of fresh air!! It is a pleasure watching the show. No fighting, no drama like so many of similar home fix up shows. HGTV has hit a home run with your show. Thank you for sharing your family. All the best for continued success. Hgtv fixer upper: are these houses staged or does the owner get to keep all the furnishings that Joanna come up with? I love this show and she brings classic design that will last forever. The key is mixing it in with new things and not doing all shabby or all traditional. I do a lot of farm rustic stuff but I mix it with new more expensive things on a table so my investment will always be in style. classic colors like blue/white vases will never go out and antiques will always be in style. I love, love this show. Joanna and Chip are so talented. They seem to have a great repoire between themselves and others. I am a retired healthcare designer. Due to personal reasons l had to retire. I get so excited to watch all of Joannas creative abilities and what treasures she reveals next. I like time ride through the neighborhoods on the days people put out what they consider junk and take it home to revitalize (my youngest daughter thinks I am nuts). She inspires me. Chip is obviously a great contractor. What amazes me is the amount of work put into a project and the budget they work within, while on other shows the budget is often triple. How do they do it? Is it due to the area they work in?Chip is the life of the party! Joanna if you ever need help staging, shopping, i.e.. I would love to help!!! Your biggest fan in Fort Worth, TX! also represent Christ in such a wonderful way. as to how this Farmhouse can be updated yet keeping the history. Right up your alley, just a few states over though! Let me know if possible or better yet come for a visit. Is the “staging” included in the budget or is it just flr the show’s purpose? They never say staging when discussing the budget, and then have tons of nice and pricey stuff in the “new” house. Thanks for the info on Chip & Jonanna- I LOVE their show! The question I always have is, WHERE do they put the tv??? They never show a tv in any of the rooms. My husband and I love,love,love this show above any other home remodel show on tv. We have sat all day watching episodes over and over. Chip and Joanna are so kind to each other and their clients and they’re so cute and funny! I wish I were them!! Keep going guys…we love you!!!!! !